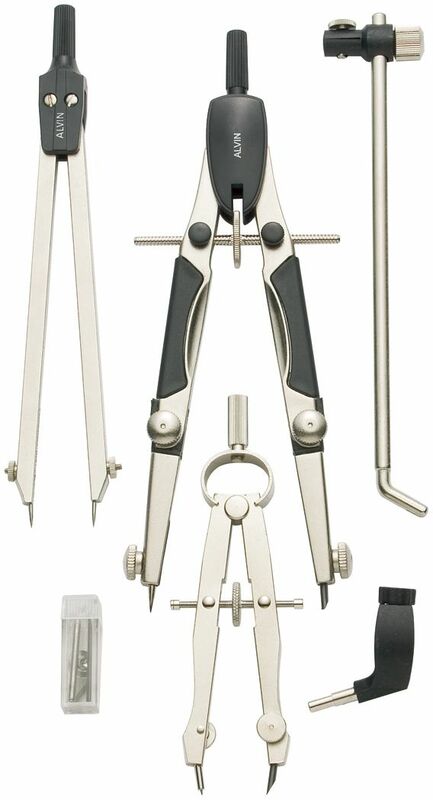 Speed Bow Compass Set - An economical set for all introductory level drafting and drawing. Set contains a 6" Speed Bow, a 4" pencil bow in a hoop spring design, a 6" divider, beam bar, pen adapter and spare parts tube. Comes in a clear cover case.